It's was a lose-lose situation for us Giants fans. 1. Who do we even root for? Tom Brady is arguably the greatest quarterback to ever play the game-winning 5 Super Bowl Rings in his career. This obviously forces everyone to hate him, however the Giants have beat him twice in the Super Bowl. On the other side, you have the Eagles, with probably the most obnoxious and aggressive fan base. Plus, do we really want another team to say that they have beat Tom Brady in a Super Bowl? (Did I mention we did it TWICE? :)) Either way, it's a lose-lose situation for us Giants fans. 2. Have we learned how to spell Eagles by now? Everywhere I go, it seems that I'm bombarded with the annoying and repetitive E-A-G-L-E-S EAGLES chant. I think I can safely say that if I were faced with a life or death situation and was forced to spell eagles, I would survive. I guess that's one thing we can thank Eagles fans for. 3. Will the city of Philadelphia survive the aftermath? After Carson Wentz's injury, faith in the Eagles seemed to vanish however, was quickly restored when Nick Files somehow seemed to play up to par. With the Eagles making it into the Super Bowl, the city of Philadelphia seemed to explode with happiness. So, if they win will the city survive... and if they lose will the city survive? Many have been saying that Philadelphia could burn to the ground no matter what the result is. 4. The best part of the game will be the food. With the sight of two teams that make you want to roll your eyes, us Giants fans will consider indulging in buffalo chicken dip the best part of watching the game. 5. We will need a beer in our hands at all times. Hearing "Go Birds!" and "Pats Nations" every 10 seconds will have us heavily drinking in order to block out the chants from the fans of their respective teams. 6. Will we have to deal with these two teams playing well next season? Its no denying these teams were successful this season, but will we have to deal with this next year too?! 7. When will Tom Brady retire? The guy is 40 years old, and has 5 Super Bowl rings... when is he going to stop????? 8. How can we annoy fans from both teams? Its no secret the Giants were an embarrassment this year. However, we can still stir the pot and pull up facts to annoy fans of each team. 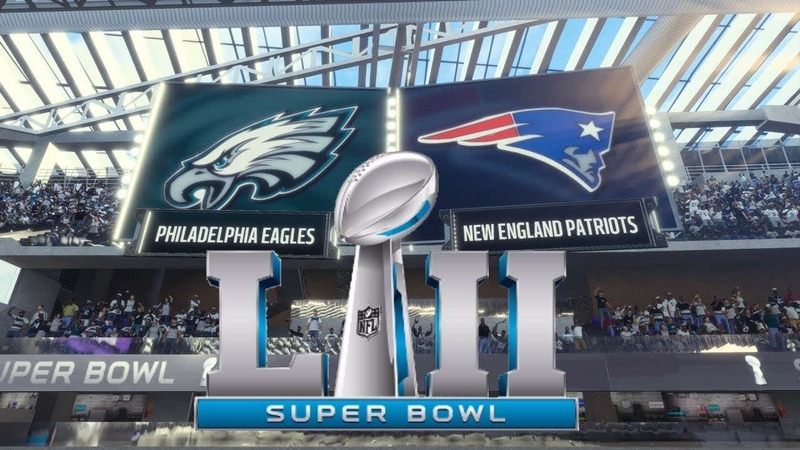 For the Patriots: yes, you have 5 Super Bowl victories, but you can't seem to beat the Giants whenever you face them in the championship... and for the Eagles: well, you have yet to win a Super Bowl. So, Giants fans, buckle up your seat belts, because no matter the outcome, you are in for an incredibly annoying ride!